An international author, speaker, business development consultant, and entertainer Leigh has been awarded the highest accreditation from the National Speakers’ Association of Australia – the Certified Speaking Professional. Leigh works with managers and business teams to transform cultures, sales and results for companies across Australia and in the Asia Pacific region. One of Australia’s leading corporate coaches, his extensive portfolio of clients includes Telstra, McDonalds, The Financial Planning Association, Australia Post, Channel Nine, Liquor Barons and more. 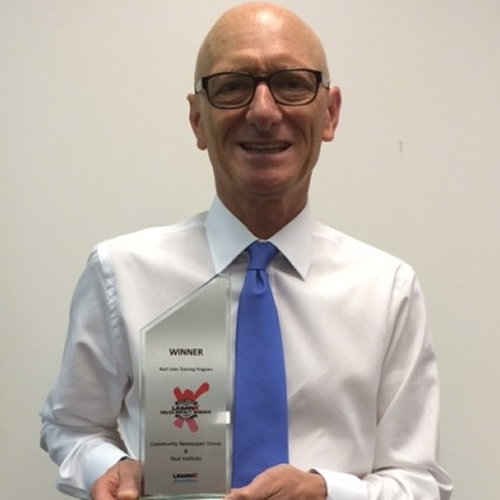 Leigh has twice won Best Sales Team Training Programme in Australasia int he LearnX Sales Impact Awards. His Colour Zone Sales and Influence System, combined with his humour and down to earth real world advice, leaves audiences inspired, empowered and motivated to take record breaking action. Leigh has a Degree in Human Performance from Melbourne University and a Masters Degree in Education from the University of Western Australia. Combining his unique background in Sports Science and Human Performance with over 30 years experience in change management, leadership, performance improvement and innovation coaching, he creates performance breakthroughs for his clients. As a professional speaker Leigh has presented at conferences throughout Australia, New Zealand, Thailand, USA, Singapore and Hawaii.